A new report on the nation’s road infrastructure, including bridges and mass transit, reveals that nearly 17,000 miles of paved roadway through National Forests, National Parks and Wildlife Refuges are suffering from a backlog of more than $11 billion in deferred maintenance. Many people think of airports when they think about travel and tourism, but 80% of domestic leisure trips and 2-out-of 3 business trips including 1-in-23 for the purpose of attending a convention or meeting, actually travel by car. Cities that believe they can disguise billboard blighted roadsides by tidying up the drive from the airport to their Downtown are delusional, as are elected officials and private sector businesses opposed to transferring funds (taxes) to keep the nation’s economic arteries healthy. Overall economic vitality in this country has always been enabled by public sector infrastructure. So we can’t lay the lack of funding for this type of infrastructure solely on the fact that a combination of fuel efficiency, inflation and fuel prices is eroding road revenue from per gallon taxes on fuel. Bonds such as those used recently by my adopted hometown to catch up on years of neglect are expensive and the “dues” many communities across the nation must pay for decades of neglect. 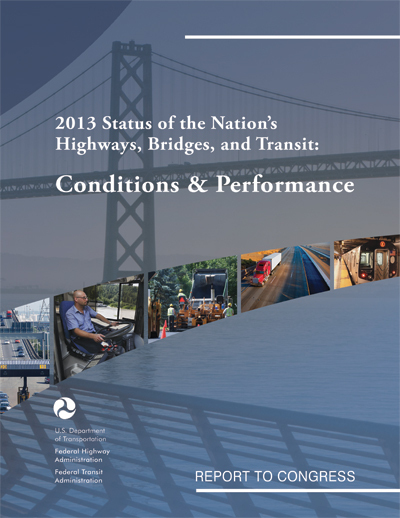 Nearly 78% of highway road mileage is locally owned roads including half of all bridges. States are responsible for 19% of overall road mileage and 48% of bridges, with North Carolina an exception because the state is also responsible for county roads as well as highways that become local roads as they pass through cities and towns. The low rating residents gave roads in Durham on a recent survey is likely due to the relatively poor condition of state roads that run through here now that city streets are up to par. Laying pavement is only part of keeping the nation’s economic arteries flowing including 80% of all domestic tourism. There is also the matter of traffic control, public safety and forested roadsides to soak up storm runoff, along with air pollution and scenic views that are so crucial to tourism and business appeal. In fact, scenic roadsides are the first and last impressions given relocating or expanding businesses during site selection. Blight along roadsides, including billboards and other litter, create a brand no amount of marketing and promotion can overcome. Manicured and tree-lined roadsides and respect for scenic vistas signal to decision makers something far more important than incentives or tax breaks. They signal whether a state or community has self-respect and whether they grasp what it takes to grow and attract talent. No amount of branding and other marketing can offset the first and last impressions created by roadside neglect and blight. The reason shifting to a per mile assessment for roads, which Oregon has been testing for a decade, is that 90% of vehicle miles traveled in the United States are for freight compared to just 10% for passenger travel. Trucks are also disproportionately harder on pavement. By tonnage, nearly 70% of freight shipments were by truck in 2010, and that amount will grow by two-thirds by 2040. As consumers we are going to pay one way or the other because taxes on freight travel will be passed on in the prices of products. But an added plus to going to a per mile assessment is that it may make commercial enterprises re-think and re-engineer supply chains to minimize distance, something that will be better for our health and for our local economies. Private sector businesses or their allies who are resistant to paying more to bring roadways up to par are in effect pushing costs off on the general public. This is something economists call an “externality” when the full costs of products are pushed off on the public sector and taxpayers rather than being incorporated through full-cost accounting. A study shows that Americans pay noticeably lower charges for our roads than other countries. This is lost though on regressive members of Congress who are hamstringing the federal highway trust fund. By working through the details over the past decade, Oregon, which also pioneered the per gallon fuel tax in 1919, has already adopted a per mile approach after beta testing it in cooperation with residents and business owners, some of whom agreed to provide access to GPS systems. GPS is increasingly common in passenger vehicles and driver smartphones as well as freight trucks, but the Oregon per mile system is being first phased in beginning with a cap of 5,000 drivers willing to opt in to paying 1.5 cents per mile driven vs. 30 cents per gallon on fuel there. Until privacy issues are resolved (apparently some people don’t want to divulge their secret destinations) it will be based on the miles traveled each year and measured during state safety inspections. That works out to $150 a year for someone driving 10,000 miles a year. It meets the fairness test by shifting more of the burden for roads to heavy users and freight haulers. A trial in Iowa of the per mile approach showed 40% in favor beforehand and 70% positive after it. A Nevada report provides some excellent examples comparing the current per gallon tax with a miles traveled fee. It isn’t yet clear how VMT, as it is called, will scale up to include interstate tourists. Nor is it clear how interstate transfers will occur unless the GPS approach is eventually implemented, which will make it even fairer by eliminating private driveways and facilitating out of state transfers. The Institute for Transportation Research is recommending a shift to miles traveled in North Carolina. I’m ready and I don’t mind if it tracks via my GPS. Being able to readily find a vehicle that is missing or overdue is a bonus far more significant to me than privacy. But I do see why it shouldn’t be accessible to the press so that confidential corporate merger discussions or bipartisan political initiatives have privacy. Pulling the wool someone’s eyes, though, may be a thing of the past.